Stephanie Benight, a 5th year graduate student working with Larry Dalton and Bruce Robinson, is lead author on a paper recently featured as the cover story in the Journal of Physical Chemistry B (Sept. 23rd issue). Benight’s graduate research has been focused on investigating intermolecular interactions in electro-optic chromophore systems using experimental and theoretical methods. Organic electro-optic (EO) materials have the potential to minimize the size, weight, and power requirements of next generation computing, telecommunications, and sensing applications. In this article, Benight and coworkers demonstrate both experimentally and theoretically that lattice dimensionality can be defined using the relationship between centrosymmetric order and acentric order. Experimentally: Acentric order of a chromophore system is determined by attenuated total reflection measurement of electro-optic activity coupled with hyper-Rayleigh scattering measurement of molecular first hyperpolarizability, and centrosymmetric order is determined by the variable angle polarization referenced absorption spectroscopy method. Theoretically: Order is determined from statistical mechanical models that predict the properties of soft condensed matter. 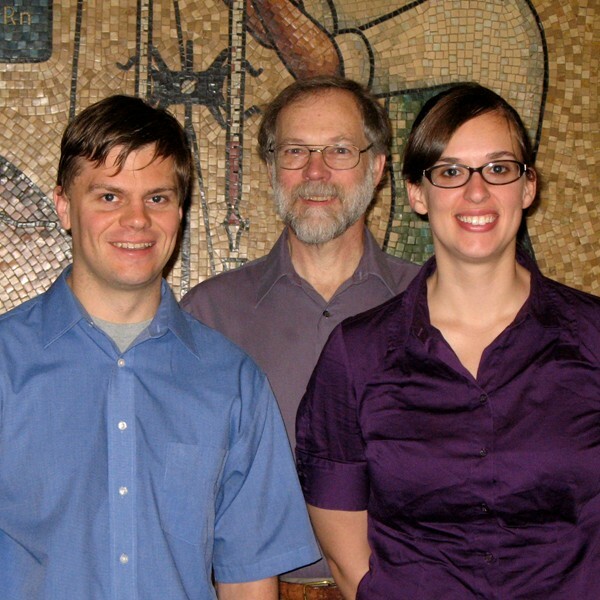 Pictured: Stephanie Benight and a few of the co-authors of the paper. 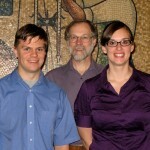 (Left to right) Lewis Johnson, Prof. Bruce Robinson, and Stephanie Benight.